A lovely sunny day in the garden, finally, with no particular plans just being. I am enjoying this meme as it makes me really look at what is looking best in the garden. I have a mooch around the garden taking photos of anything interesting. 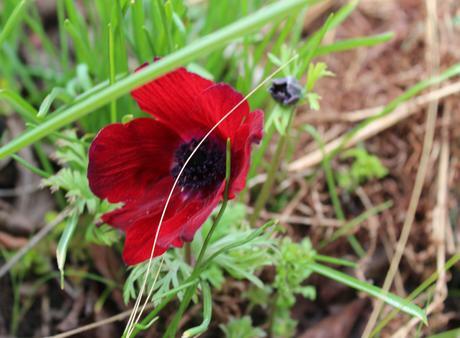 However, it took a few walks around the garden before I spotted the Anemone coronaria ‘Bordeaux’; which was a real thrill as I have tried to establish this before and failed. 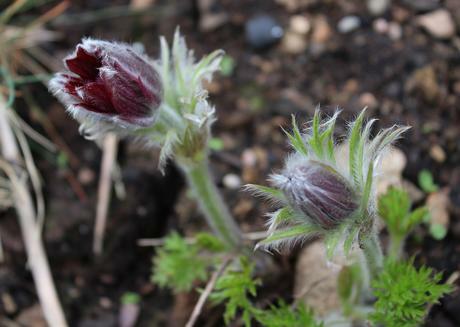 Not far away I found Pulstilla vulgaris ‘Papageno’ which was new a couple of years ago and seems to be establishing itself. 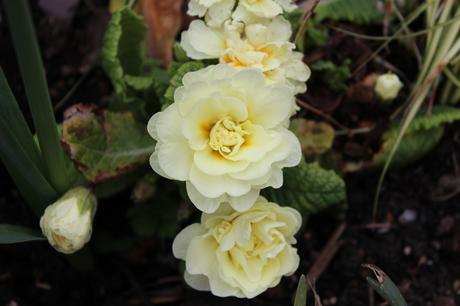 I have been bemoaning the fact that the primroses haven’t been reappearing this year and they never seem to bulk up but I did find this double primrose. 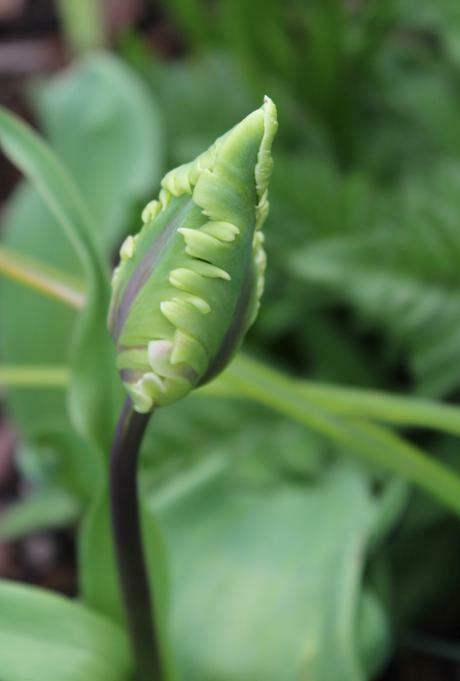 There are quite a few tulips almost ready to flower in the garden. I really like the serrated edge of the petals of this one. 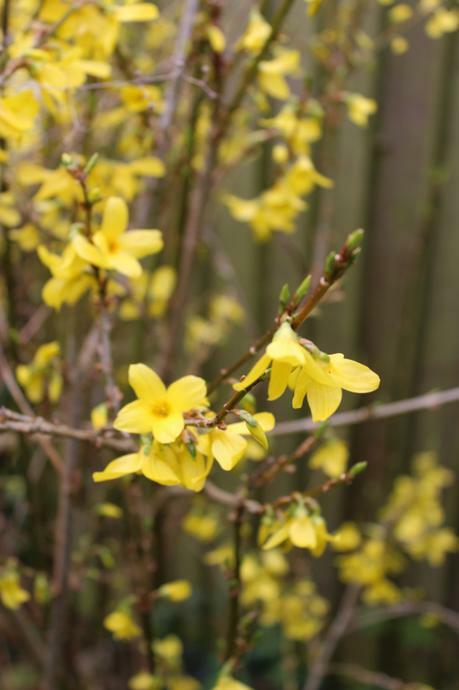 I thought I would include the Forsythia as I think it is really underrated and people can be quite snobbish about it but what’s not to like about those lovely yellow flowers. 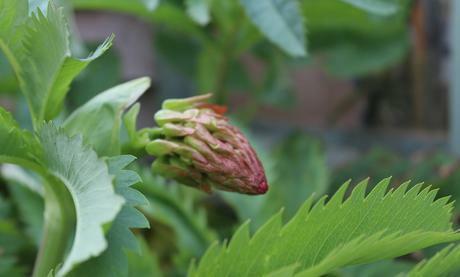 Finally, I discovered that the Melianthus major is flowering. It doesn’t flower every year and I think the flowering is brought on by the warmer temperatures. There are two flower spikes so far. They are fascinating to watch as the spike slowly grows and unfurls over a number of weeks. So those are my favorite things this week – for more Six on Saturday pop over the the Propagator’s Blog.